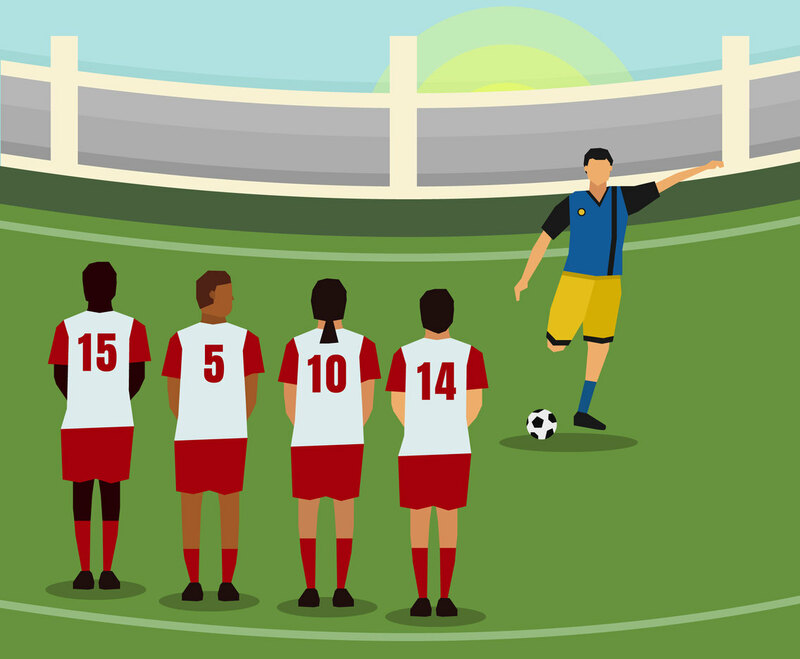 Vector illustration of some soccer players doing Free Kick. The illustration is in flat style. You can use this vector set as design element in sport or soccer game poster background, web footer or infography.